A 4a.m. accidental shooting at their boat's marina when his wife finds him with another woman? They what - wrestled for the gun? Was he the intended target? Why is he still an officer after his unpaid suspension in 2006 and after the felony warrant for him in 2008 (see below)? How many years did Officer Chambers spend on unpaid suspension besides the time we know about (see below)? How many unreported incidents has he had if these incidents that I could find are so under-reported? And one more time - how is he still an officer? 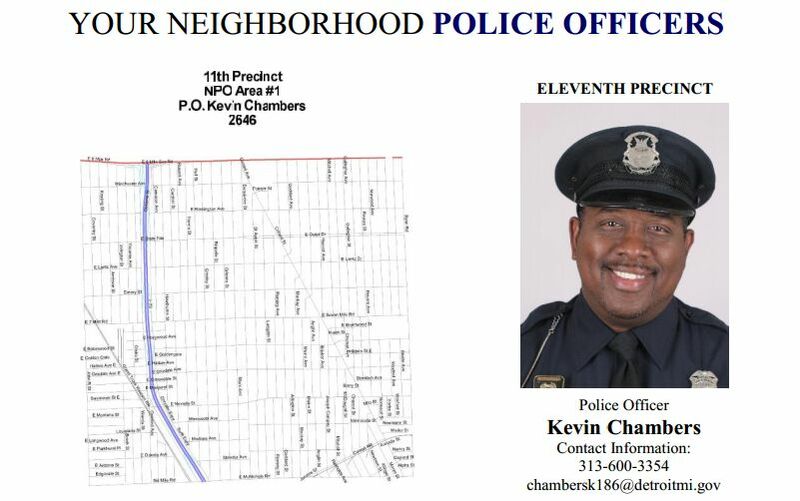 On May 16, 2008, the Internal Affairs Alert Team received notification to respond to the Northwestern District regarding the arrest of Police Officer Kevin Chambers, badge 85, assigned to Tactical Mobile for fleeing and eluding, carrying a concealed weapon and operating while impaired. It should be noted that Officer Chambers has been suspended without pay since November 16, 2006 on Force Investigation Case #06-091 for an off duty incident where he fired shots. A review of the Arrest Report prepared by Police Officers Daniel Sitarski, badge 2098, and Stanley Kropik, badge 775, both assigned to the Northwestern District, revealed that at approximately 5:50 A.M., on May 16, 2008, while on routine patrol in the area of Evergreen and Grand River, they observed a person, later identified as Officer Chambers, operating a Harley Davidson Motorcycle at a high rate of speed and disregarding a red light. The officers attempted to perform a traffic stop, but Officer Chambers sped off exceeding speeds of 120mph. The officers activated their overhead lights and siren and pursued Officer Chambers. Officer Chambers disregarded two more traffic signals and the chased was terminated by Sergeant Harold Ashford; badge S-526, assigned to the Northwestern District. The officers continued on Grand River and observed the motorcycle on the ground at Berg and Grand River and Officer Chambers attempting to pick it up. The officers ordered Officer Chambers to the ground and he was placed in handcuffs. The officers conducted a pat down for offensive weapons and found that Officer Chambers was in possession of brass knuckles. Additionally, the officers detected the odor of intoxicants on Officer Chambers and he was administered Field Sobriety Tests at the scene, which he failed. Once at the Northwestern District, Officer Chambers was administered a Breathalyzer Test by Police Officer Darryl Bennett, badge 4320, assigned to the Northwestern District, and the result was a blood alcohol content of.08. Officer Chambers was advised of his constitutional rights (Miranda) and he refused to make a statement. On this same date, an Investigator’s Report was presented to Wayne County Assistant Prosecuting Attorney (APA) Robert Donaldson naming Officer Chambers as the defendant. APA Donaldson advised Internal Affairs that the warrant would be adjourned to May 19, 2008. On May 19, 2008, APA Thomas Dawson recommended charging Officer Chamber with one count of Fleeing and Eluding – Third Degree, one count of Possession of a Dangerous Weapon, one count of Operating While Impaired and one (1) count of Reckless Driving. On this same date, Magistrate Millicent Sherman, of the 36th District Court signed felony warrant #08 060420 for the recommended charges. 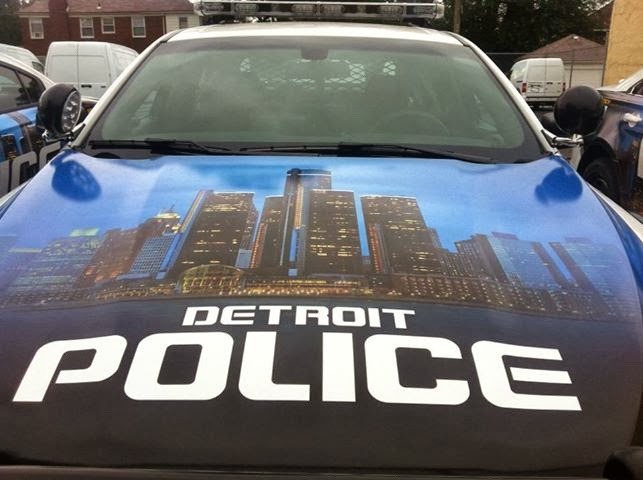 CHARGE: CONDUCT UNBECOMING AN OFFICER, CONTRARY TO THE LAW ENFORCEMENT CODE OF ETHICS; THIS BEING IN VIOLATION OF THE DETROIT POLICE DEPARTMENT MANUAL SERIES 100, DIRECTIVE 102.3 – 7.9, CONDUCT UNPROFESSIONAL, COMMAND 1. Due to the seriousness of the conduct, I am requesting your concurrence with the suspension of Police Officer Kevin Chambers without pay, effective May 22, 2008. Exec Dir Goss stated there are no arguments on this case because it is a felony. [TN] Knoxville Police Cadet Michael Little stole Travis Wegener's life in quadruple domestic shooting. Knoxville Police Cadet Michael Little shot and injured his ex-girlfriend Ashley [W.], her mother Rhonda, then shot and killed Ashley's visting friend Travis Wegener. Cadet Little was shot dead with a shotgun by Ashley's older brother Joshua [W.]. Ashley had broken up with Cadet Little a couple of weeks ago after dating him for 2 years. She said his goal in life was to become a police lieutenant. "The associate pastor at Sharon Baptist Church says Wegener was a beloved church member who was involved in the college and young adult ministries. He says Wegener also volunteered with the children's ministry, and loved to help out in the kitchen." Cadets aren't issued guns so Little used his own weapon. Ashley and Rhonda will be okay physically. 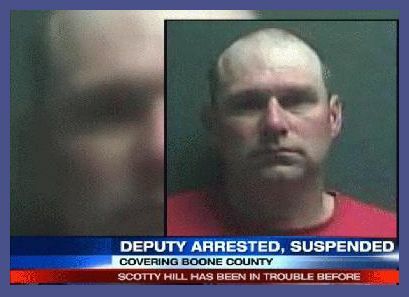 Boone County sheriff's Deputy Scotty D. Hill's wife suffered bruises to her cheek, arms and knee Tuesday night after a domestic assault. She told police that he was threatening to shoot her and then kill himself. Hill was charged with alcohol intoxication and domestic violence. 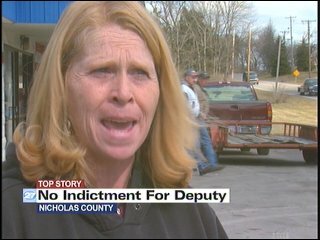 "The man's wife actually called one of our [Boone County sheriff's] deputies on his cellphone and said, 'Can you get down here and help me out? Scotty's been drinking and he just kicked in a door.'" In 2008 off-duty Deputy Hill, his wife, Florence Police Officer [R.H.], and their teenage daughter went to pick up a purchased horse and while there he shot and killed the property owner, 55 year old Brenda Pollitt. Pollitt was said to be armed and was shot in self-defense but her family does not agree. The grand jury found there was not enough evidence to charge Hill. 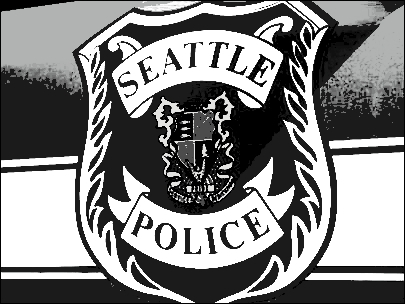 "He shot my sister in the back..."
A Seattle Police Officer was arrested today accused of molesting his ex girlfriend's daughter. 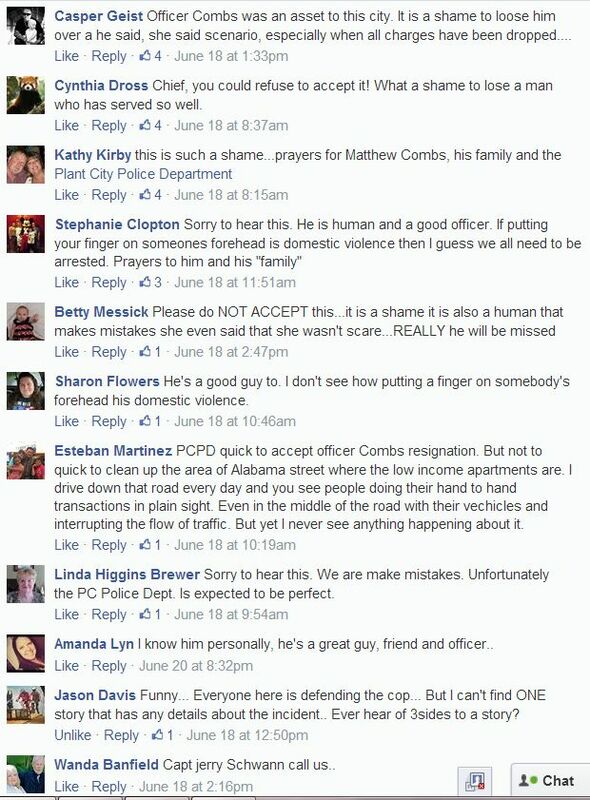 His name wasn't officially released but the news agencies have it and are sharing it. I'll wait until there's at least some indication of what kind of evidence they have or how solid the case is. I don't think that they'd arrest him without solid evidence, but I'd still rather wait. God bless everyone involved in this. 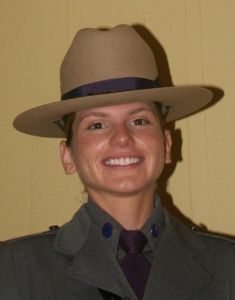 27-year-old New York State Trooper Kerstin Williams was found by boaters shot to death on the bank of Nassau Lake in the Town of Nassau, Rensselaer County last night with her division issued firearm near her body. 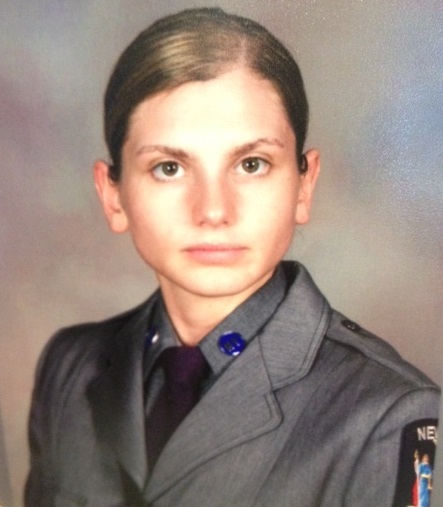 State Police say they found no sign of foul play and no note, and according to NY State Police Captain Scott Coburn of Troop G, the autopsy conducted today confirmed the cause of Kerstin's death as a suicide. but the investigation is ongoing. and to the weary please reach out for help. Columbus Georgia Police Sgt. Craig Haggas and his wife Whitney Compton-Haggas have been arrested and charged with misdemeanor simple battery stemming from domestic violence that happened in May. They are due in court today, Monday June 30th. Denver Police Officers Jeremy Ownbey and Steve Sloan, along with their wives - partially dressed Jamie Ownbey and fully dressed Stephanie Sloan - had a violent altercation in the home of the Sloans' where alcohol was involved. All but Stephanie were throwing punches. While this was going on between the formerly swapping "swinging" lovers - minus Stephanie ["Steven wanted Stephanie to join, but she refused"], the Ownbeys had left their two "small children" at home without supervision. 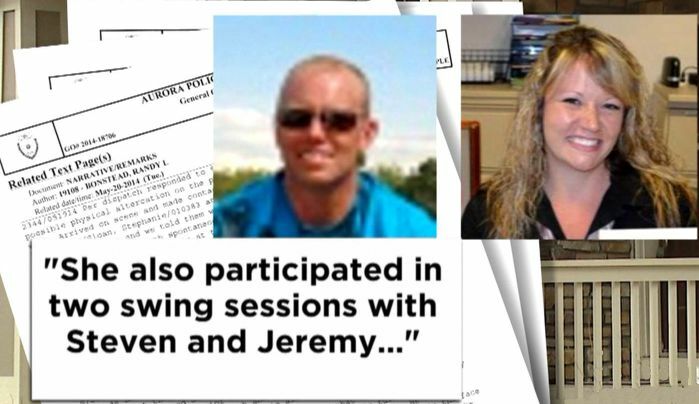 Four Aurora police officers responded to the the Sloan's home after Officer Ownbey (and Jamie?) had left, but while APD officers were still there Jeremy Ownbey is said to have returned, appearing and admitting to being drunk. Who is surprised that the Aurora officers did not arrest Officer Ownbey for drunk driving, cite him, or give him a sobriety test? Instead they gave him a ride home. Aurora police spokesman Frank Fania reportedly said that the Aurora officers made a "poor decision" and that he wished the officers could have a do-over because, "It’s not our way of doing business". He said there is an investigation into why the Aurora officers didn't arrest Officer Ownbey. It takes an investigation to figure that out? Injuries are not mentioned in the articles and the danger is downplayed. What injuries occurred when Officer Sloan punched Jamie Ownbey in the face or when he was punched "numerous" times in the head by Jeremy Ownbey? And I can't imagine the police would call it "gun play" if *I* pulled a gun, pointed it, and threatened to shoot someone. What the Aurora spokesman calls a "brawl" was lethal with head punches, forceful falls, drunk (mad) driving, and a gun in the hand of a trained shooter. That's not playing. How long were the children left alone and just how "small" are they? I'm wondering why the writers of the articles don't ask or say. Officer Ownbey and Jamie Ownbey are now facing child abuse charges, and respectively trespassing and assault. 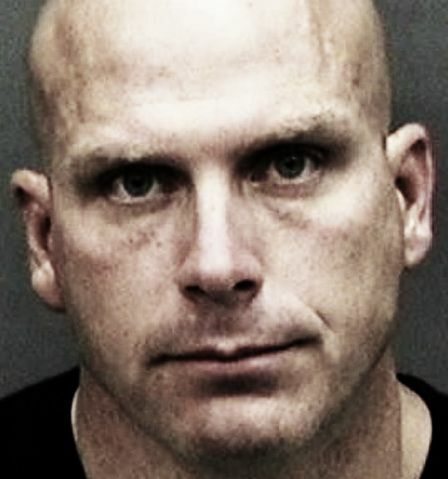 Plant City police Officer Matthew Combs was arrested for domestic violence battery, put on unpaid leave, then he was ALLOWED to resign within 2 days. That sure sounds like there was evidence that an assault occurred. An internal investigation had been "initiated" but that process would have shut down as soon as he resigned - so there will be no finished report of what happened. When he resigned it STOPS the internal investigation because he is no longer an employee. Without a completed report he can actually be hired back or by another department if he can intimidate the victim to not cooperate with the criminal charges or if the good ol' boy system spanks his hands by letting him do an alternate program that will erase the assault from his record. 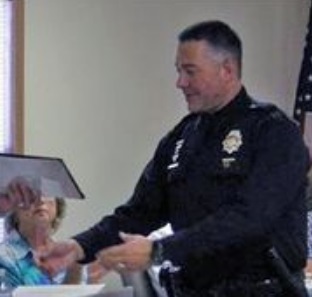 "...Combs was originally hired as a Plant City police officer in September 2002. He resigned in January 2004 and was rehired June 2005..."
The chief, city manager, judge, and district attorney are usually there for the officer - meaning NOT-there for the victim. The victim has not been mentioned in any of the articles other than she is his EX and it was Father's Day. We aren't told if she is hurt, afraid, hiding, recanting, safe, getting services, or fearless. IN THESE STORIES she's usually just the backdrop with only room for one "important" person, - the accused officer. Read on the United States Federal Law banning domestic violence offenders from having firearms - "the Lautenberg Amendment"
A Prince George's County Police officer faces a departmental investigation after he pleaded guilty to domestic assault and was sentenced to four years probation. Officer Dwight Jones, 45, of Upper Marlboro, pleaded guilty to second-degree assault in Prince George's County District Court on June 9. 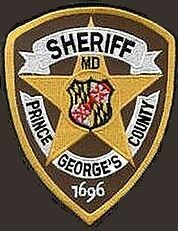 He was charged following a Nov. 30, 2013, domestic incident in Upper Marlboro. He received a three-year suspended jail sentence, and was placed on probation for four years, according to Maryland online court records. Jones must also pay a $250 fine. Police Chief Mark Magaw said Friday, "Our officers are held to the highest standard, whether they are on or off duty. Any behavior that betrays the trust of our community will not be tolerated and is not acceptable." The departmental investigation could lead to termination. Jones' police powers are suspended and he is on administrative duty. 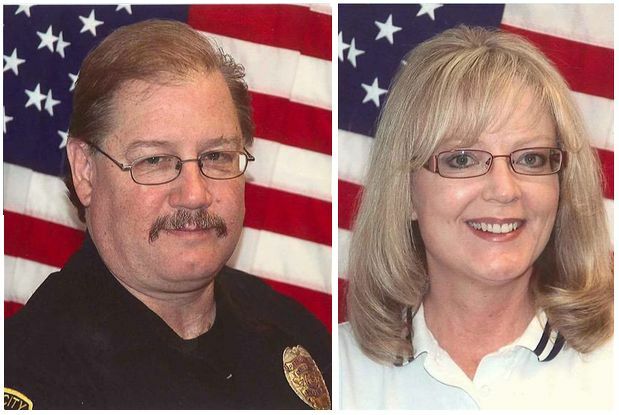 Updated June 18, 2014 1:48 p.m.
Canon City Police Dispatcher Priscilla Elaine Jenkins Samento and her husband, Retired Canon City Police Officer Daniel David Samento, have died in his murder-suicide. Service: 9:00 a.m., Friday, June 20, 2014 at the Canon City High School Gymnasium. Arrangements are under the care of Holt Family Funeral Home. 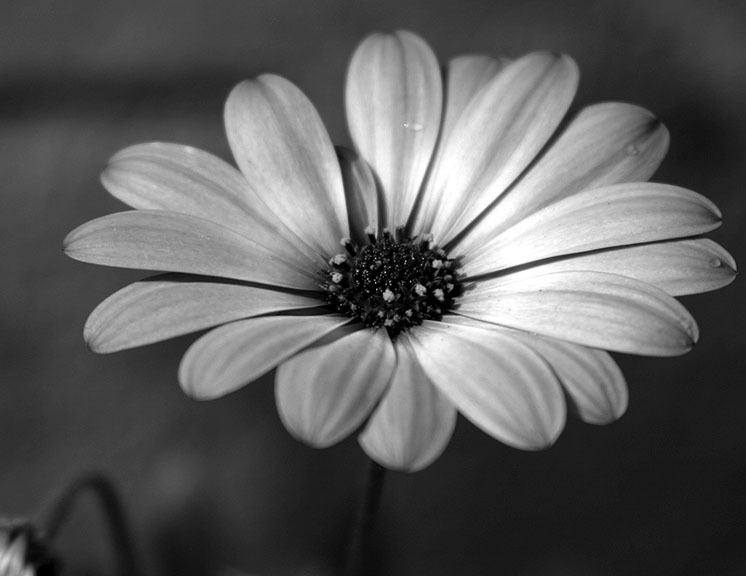 Online condolences at Holt Family Funeral Homes. [Excerpt] "...Dan lead the cruise to the car show... He also was the DJ... and put on the annual car show... He had 3 Corvettes, C5 convertible, C5 Coupe and C6 Z06, all black. He also had a business where he repaired Corvettes with his son... Last Thursday, June 12, Dan evidently shot Prisicilla while she slept and then committed suicide. No one that I know of suspected this was coming. I talked with Dan for quite some time [May 10]... He seemed dispondent, disillusioned, and out of sorts. He told me he recently had sold his C5s, sold his truck, and property where he had just completed his garage and was going to build a new house, and was going to sell his Z06. I had asked [R.N. ](Corvette Center) if he knew what was wrong with Dan as I had never seen him this low. [R.N.] did not know. Always cheerful, helpful, and forthcoming, Dan was a good friend to Corvette people and others and will be sorely missed. 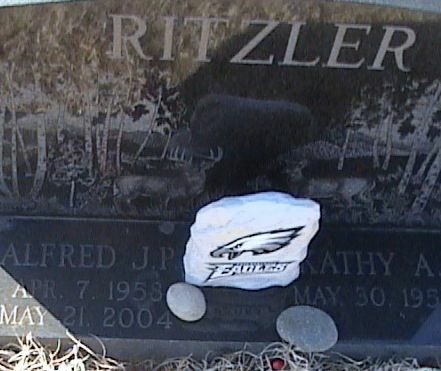 Patti and I took it very hard when we heard the news, as did all of his friends and RMCSC members. I do not know if we will ever know why this happened, but I will always have fond memories of Dan and Prisicilla and the times we shared at events and at his home in Canon City. 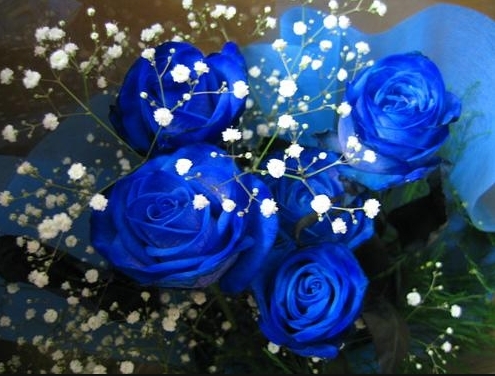 RIP Dan and Prisicilla..."
Leesburg Prison Corrections Officer Alfred Ritzler took his ex-girlfriend Donna Weigand hostage at 158 Fishing Creek Road Lower Township before fatally shooting her and committing suicide. They had recently broken up. Armed, Ritzler went in search of her and found her with a date. 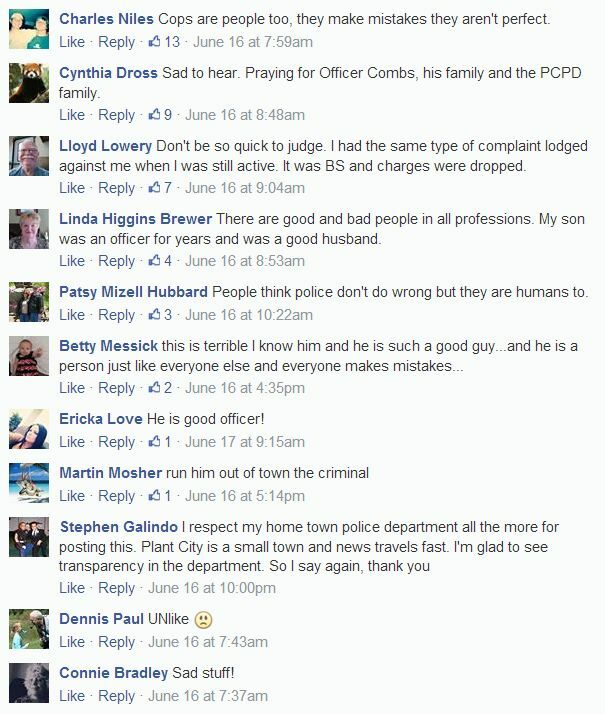 Lower Township police got a 911 call but could only hear a woman yelling "Put the gun down! Put the gun down!" Police who arrived first heard two muffled shots about 15 minutes apart, followed then by a 6 hour stand off involving SWAT, multiple law enforcement agencies, a neighborhood evacuation, and finally a camera robot that went in and confirmed that Donna and Ritzler were no longer alive. There's very little information about Donna that I could find but she's remembered here. 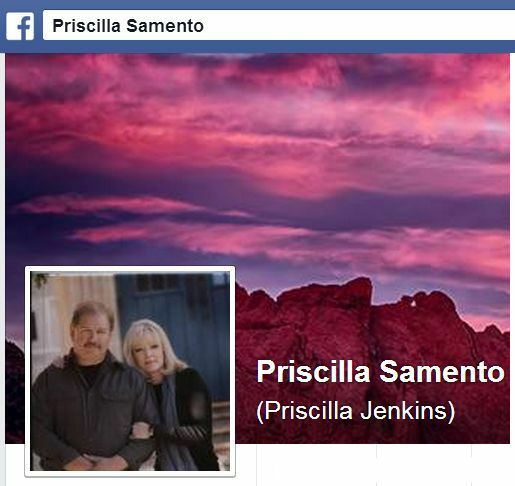 I would love to know more about her, as a person, friend, and family member. Detroit Police Officer Johnny Ray Bridges s facing slew of charges for allegedly assaulting a woman inside a Detroit home. [Excerpts] A 31-year-old woman broke the window of a Detroit home to escape the man who had fired a gun, beaten and detained her against her will. 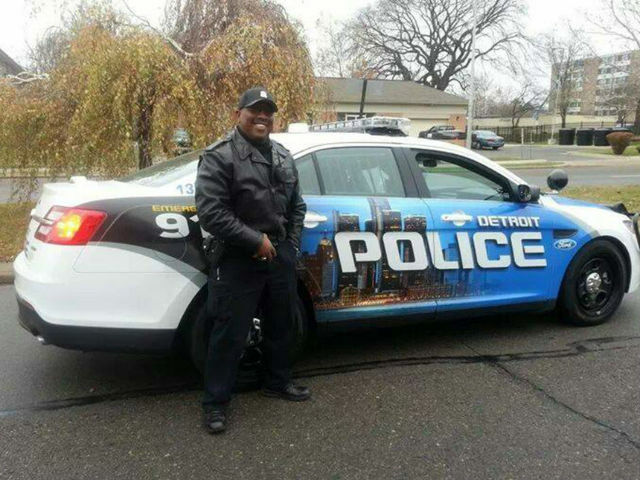 That man is Detroit Police Officer Johnny Ray Bridges, 47, the Wayne County Prosecutor's Office says... "A conviction could destroy both an individual’s career and reputation... If you have been arrested for domestic violence or assault with intent to commit great bodily harm, consult with a skilled and capable Michigan criminal defense attorney right away... Your attorney will work vigorously to have charges dismissed or reduced, or to obtain an acquittal so that you can avoid life-changing consequences." DETROIT POLICE CHIEF JAMES CRAIG RESPONDS TO SEXUAL ASSAULT CHAGES AGAINST DETROIT POLICE OFFICER DEON NUNLEE. [PA] Police Sgt Walker's wife Lynda did NOT commit suicide 30 years ago. Now he gets short jail term. NEW MILFORD – A former police officer will now serve two to four years for murdering his wife in Susquehanna County. John Walker pleaded no contest Thursday to the murder that happened more than 30 years ago. This plea came as a surprise to many who knew the victim, Lynda Conrad Walker. 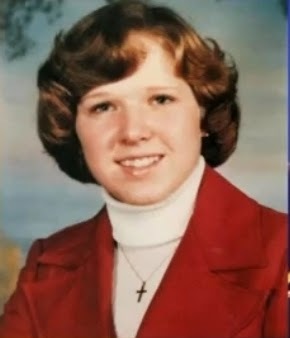 In 1983 her death was first ruled a suicide, but decades later an autopsy proved that she in fact didn’t shoot herself. Walker pleaded no contest, which means he doesn’t admit guilt, but he doesn’t fight the charges either. Even so, for some, that plea isn’t enough. It’s been more than 30 years since Lynda Conrad Walker was found dead, a gunshot wound to her chest, a death originally ruled suicide in Susquehanna County. Walker’s childhood friend says years later she still can’t believe her friend is gone. “There’s not a day that goes by that I don’t think about her. She was a very close and dear friend with many of us and it’s heartbreaking,” said Lynda’s childhood friend Cathy Dunlap. Now Lynda’s husband John Walker pleaded no contest to her murder. He was charged in the cold case in 2011 after a new autopsy. Now he’ll be locked up for two to four years. The victim’s mother Norma says this case has taken its toll on her. “It’s difficult, you have your ups and downs , you think things are going to go the way you want them to and the next thing you know there not,” said Norma Conrad. 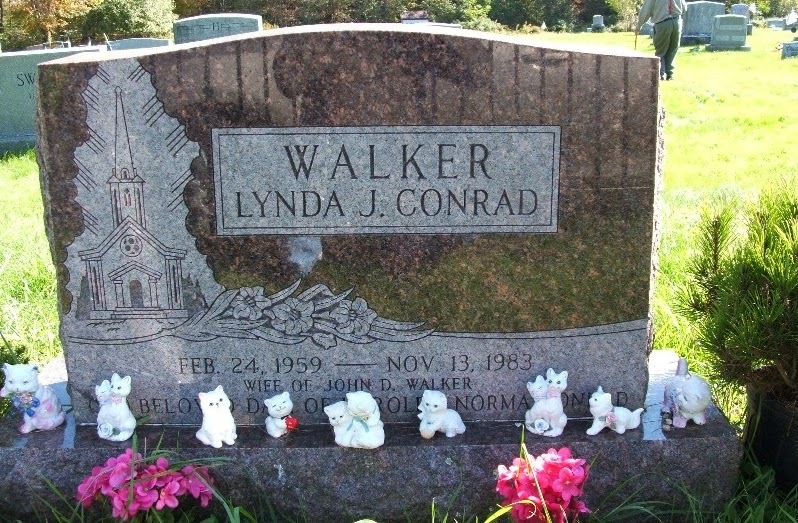 This 30-year-old case comes to a close on the same week that Lynda Conrad Walker would have turned 55. Her family and friends say this case will never truly come to an end. “We waited a long time for this day, but this isn’t exactly what we wanted. Not that we wanted a long trial or anything, but we wanted justice for her and her family,” said Dunlap. Lynda’s friend had hoped for life in prison or the death penalty. Her mother says this sentence is not for anyone to judge. “The only thing I can say is after 30 years at least he has served something,” said Conrad. Now Lynda’s mother looks toward the memorial she has for her daughter in her backyard, thankful for the fight others fought on Lynda’s behalf. “I just appreciate how all of the people have been working on this case and just stayed with it. They’ve been so kind to me and I wanted some way to be able to thank them,” said Conrad. A 30-year-old murder case came to a close Thursday in Susquehanna County when a former sergeant with the Montrose police entered a no contest plea in the 1983 death of his estranged wife . John Walker, 54, of Montrose, entered the plea to one count of voluntary manslaughter and was immediately sentenced by Specially Presiding President Judge Linda Wallick Miller, 43rd Judicial District, to serve 24-48 months in a county correctional facility, followed by five years probation. There is no admission of guilt in a no contest plea. Following a grand jury investigation, Walker had been charged in October 2012 with first degree murder in the Nov. 13, 1983 shooting death of his estranged wife Lynda Conrad Walker at the couple’s New Milford Twp. mobile home. Lynda Walker died from a single, close-range gunshot wound to the chest. As part of the plea deal, the murder charges were dropped in exchange for the voluntary manslaughter plea. Defense attorney Paul Ackourey said his client has already spent 16 months in jail, and with the minimum sentence, Walker will be incarcerated for another eight months. Arresting officer Tpr. Greg Deck told the court he had been in contact with the victim’s mother, Norma Conrad, and that she was satisfied with the agreement. The death had initially been ruled a suicide in 1983 by John Conarton, Susquehanna County Coroner at that time. 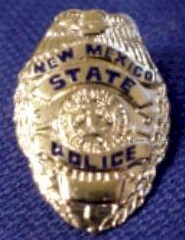 Walker was employed at the time of the shooting as a police officer in Great Bend. In the years since, he has been employed by several other municipalities, including Silver Lake Township and Montrose Borough. His most recent rank held on the Montrose force was sergeant and he had formerly served as the chief of police in the borough. Walker was suspended from the Montrose police force after his arrest in 2012. The Office of Attorney General initiated its investigation into Lynda Walker’s death in February 2010 at the request of Susquehanna County District Attorney Jason Legg based on a conflict of interest. Walker had served as a Susquehanna County Task Force detective under the supervision of the district attorney. 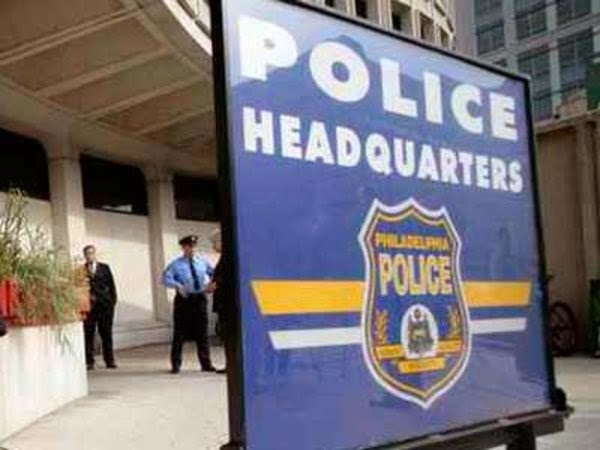 Evidence in the investigation was gathered by the Pennsylvania State Police and presented by the Office of Attorney General to the Statewide Investigating Grand Jury. 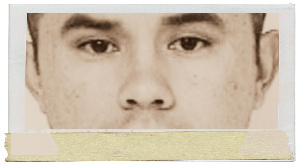 In 1983 Walker claimed that he came home to find his wife ’s lifeless body in his bed, with his gun lying next to her. In June 2011, at the request of the grand jury, Lynda Walker’s body was exhumed from the West Lenox Church Cemetery in Lenox Twp. Forensic pathologist Dr. Isidore Mihalakis conducted the autopsy; looked at the path the bullet took as it passed through Lynda Walker’s body; and examined other evidence. Dr. Mihalakis concluded that the death of Lynda Walker was not consistent with a self-inflicted gunshot wound. Rather, the manner of death was homicide, according to Dr. Mihalakis. According to the 15-page grand jury presentment, which was accepted by Judge Miller at Thursday’s plea hearing as the basis of facts in the case, Lynda Walker’s body was found in her bed and a cocked .45 caliber handgun was partially in her right hand and a bullet wound to her left chest. In a 1983 interview with police , Walker said the couple had been separated since July of that year but had agreed to meet that day at their home. Walker told police the two argued after he told her he was filing for divorce and she threatened to kill herself. Grand jury witnesses testified that they did not believe Lynda Walker was suicidal. Testimony also contradicted Walker’s 1983 statement to police about his whereabouts at the time of the death. Laurence Braungard, who was also served as a police officer in Great Bend in 1983, told the grand jury that Walker had attended classes on suicide investigation at Lackawanna College prior to Lynda Walker’s death. The case was prosecuted by John J. Flannery, Jr., of the Attorney General’s Criminal Prosecutions Section. After 30 years, a cold case in Susquehanna County is now closed. Two years after being charged, former Montrose police officer John Walker entered a plea in connection to the death of his estranged wife in 1983. In 1983, Lynda Walker died from a single gunshot wound to the chest. Her death was originally ruled a suicide. In 2010, the Pennsylvania Attorney General's Office took another look at the case, exhumed her body and investigators brought criminal charges. "Her birthday was this week. She would have been 55," Norma Conrad said. 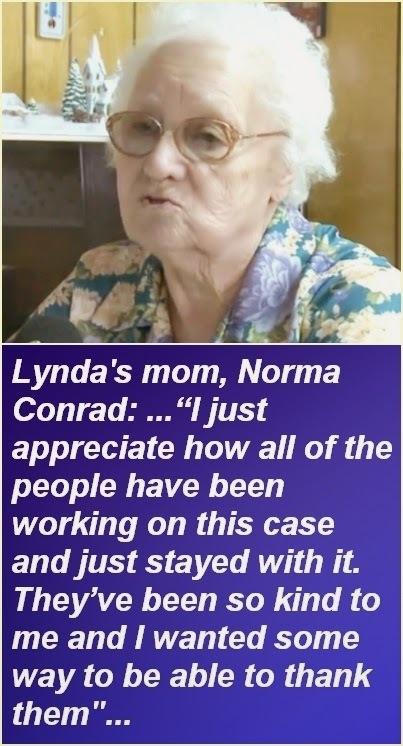 Sitting in her New Milford home, Norma Conrad has a little bit of closure. After John Walker pleaded no contest Thursday to voluntary manslaughter for the death of Lynda Conrad, he was immediately sentenced to two to four years in prison. "I want to thank everybody who's involved in this case," Norma Conrad said. "I want to thank them in some way. I'm not sure how I can do it. They've all stayed by me and stayed with it all these years." Lynda's childhood friend Cathy Dunlap wished there had been a trial. "I wanted to look at him right in his eye and say: Why did you do it? 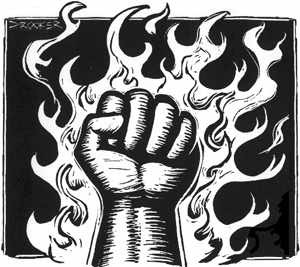 Why did you do it and two-to-four years is nothing compared to what we've gone through the last 30 years," Dunlap said. Having already served 16 months in jail, Dunlap is angry that Walker could possibly be eligible for parole by the end of this year. "It's not fair. He's been able to have children, do things, just live life and this has all been taken away from her," Dunlap said. For Norma Conrad, she would have liked Walker to say "I'm guilty" but the no contest plea means he doesn't admit guilt but admits there is enough evidence against him. A religious woman, Norma Conrad says John Walker's true judgment won't come on this Earth. "There's a judge higher than an authority on Earth and he's had to live with that and he will continue to live with that," Norma Conrad said. John Walker was initially charged with first degree murder in 2012. He could have faced life in prison. Besides his two-to-four year sentence, he will also have to serve five years probation. 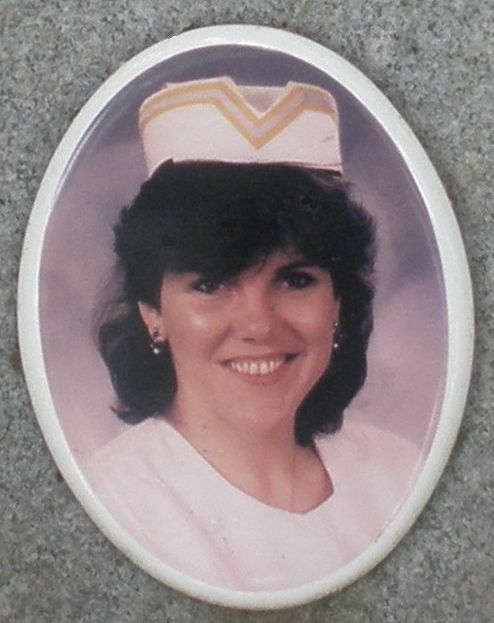 [CA] 25 years ago Deputy's wife Joan Scalzo was strong and wanted to live. She tried. Former Deputy Anthony Michael Scalzo was charged with murder of his wife Joan Patricia Scalzo, and sentenced to only 13 years after the charge was reduced to manslaughter. He shot her through the face and when she kept calling for help he shot her through the ear, then getting above her he choked her unconscious as witnessed by their teenage daughter. 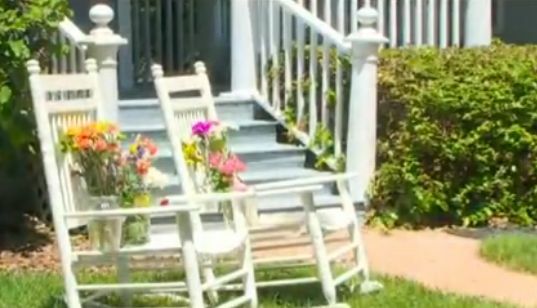 A neighbor heard Joan shouting for help but after the second shot, heard nothing. Anthony gave several stories including that she shot herself cleaning the weapon, that she was shot during a struggle for the gun, and that he shot her but it was a medicine he was taking. There was never any evidence given that he was taking the named medicine. In court his daughter testified, "He's manipulative. He's mean. He's cruel." [Excerpts] A 15-year-old Chatsworth girl testified Thursday that she watched her father [Anthony Michael Scalzo] - a former sheriff's deputy - apparently trying to strangle her mother [Joan Patricia Scalzo] as she lay on the dining room floor screaming that she had been shot... Joan Scalzo was shot twice in the head with a .38-caliber revolver Feb. 20, 1989... Claudia Scalzo, a high school junior, testified that she was working on the pool in the back yard when she heard a loud bang. She went into the dining room and saw her father bending over her mother on the floor. "He was over her with both hands around her neck, on the pulse points... She asked me to get him off her. I tried pulling on his arm. Then he told me that there was an accident and asked me to get an ambulance"... her father told her that her mother had shot herself accidentally while cleaning a gun... The Scalzo's next-door neighbor, Michael B. Tindell, testified that he heard a gunshot and ran to the Scalzo home. Standing at the front door, he heard Joan Scalzo repeatedly screaming for police and an ambulance, he said. "She was helpless, calling out, wanting somebody to do something," Tindell said. Minutes later, Tindell heard a second shot, and then Joan Scalzo was quiet... Tindell said Scalzo told him that he and his wife were struggling over the gun when it went off by accident... He said he could hear Claudia in a back room screaming and crying. EX-DEPUTY WHO KILLED WIFE GETS 13-YEAR TERM COURTS: ANTHONY MICHAEL SCALZO RECEIVES THE MAXIMUM PRISON SENTENCE. HE BLAMED THE 1989 SHOOTING ON PRESCRIPTION DRUGS HE HAD BEEN TAKING. [IL] I-Team: Molly Young's story isn't losing steam. In fact, it is gaining. CARBONDALE, IL (KFVS) - New questions come to light in the Molly Young investigation. It's a case out of Southern Illinois that Heartland News has been following closely. Molly's story isn't losing steam, in fact it's gaining. The Justice for Molly Facebook page has more than 25,000 members, and continues to grow. In August of 2013, the Jackson County State's Attorney announced that a special prosecutor had been appointed in the Molly Young death investigation. The Special Prosecution Unit of the State's Attorneys Appellate Prosecutor office was tasked to looked into the matter. Edwin Parkinson, a former Morgan County prosecutor, is working the case. According to the Appellate Prosecutor's website, the Special Prosecution Unit has been particularly active in downstate Illinois, where personnel and financial resources are more limited than in more populous counties. According to statements made in a news release, Jackson County State's Attorney Michael Carr said he was recusing himself from the case out of respect for a justice system where his role is not only to do justice, but to give the appearance that justice has been done. Special Prosecutor Parkinson told Heartland News I-Team reporter Crystal Britt, that his office is closer to making a public update on the re-investigation into Molly's death. "We don't want a half way investigation and put a rubber stamp on insufficient evidence," said Larry Young, Molly's father. Larry Young is a father on a mission. He in no way believes his 21-year-old daughter Molly put a gun to her head, and pulled the trigger. "We want the truth to come out and every stone turned over," said Young. Molly was found dead at her ex-boyfriend Richie Minton's apartment in Carbondale in March of 2012. Minton was a Carbondale Police Dispatcher at the time. We've told you in recent months about some of the initial questions Molly's family and friends have about Molly's death. 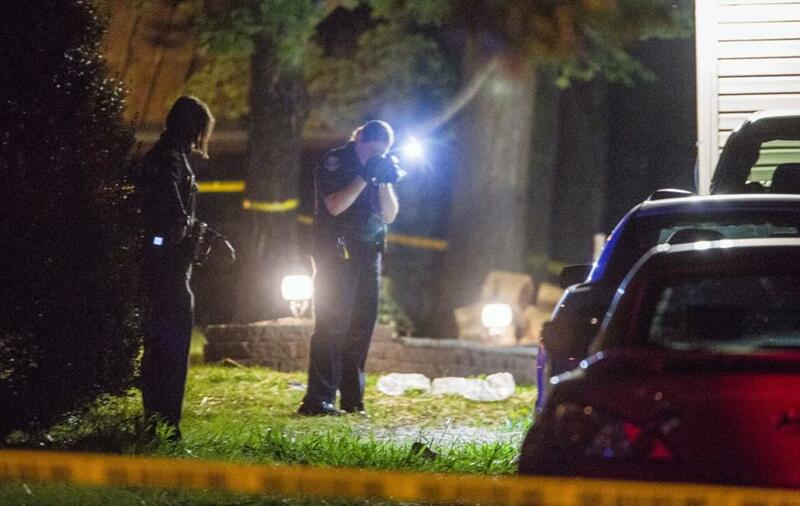 Reports show no fingerprints were found on the gun used in Molly's death. No gunshot residue was found on Molly's hands. Scratches were found on Minton's back, and there are concerns about why Minton has refused to answer investigators questions thus far. His attorney, Terry Green, said last summer: "Please do not mistake the lack of comment as evidence of wrongdoing." 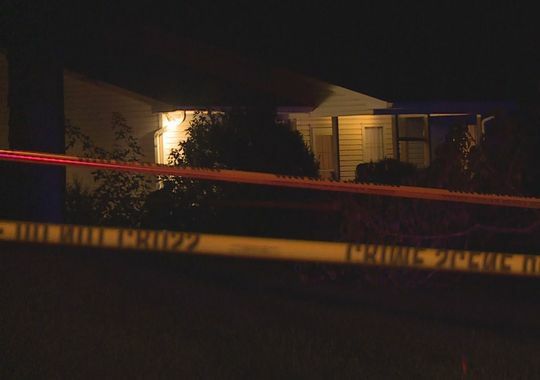 Another question many have is why neighbors at the same apartment complex told Heartland News exclusively that Carbondale Police arrived at the scene before the 911 call. That is an accusation Police Chief Jodi O'Guinn said never happen. Over time, new questions have emerged. It is believed that Molly died in the early morning hours of March 24. 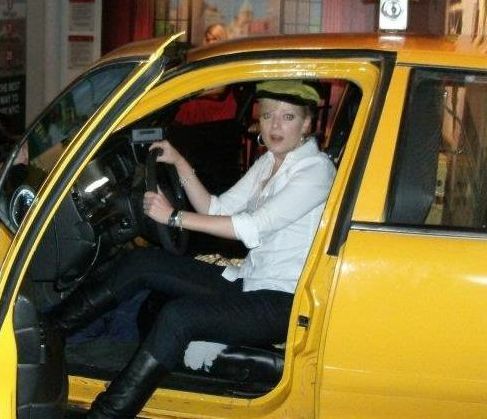 Close friend Cullen Stout said he was with Molly on the night of the 22nd, and into the early hours of the 23rd. "It was almost a celebration of her life," said Cullen Stout. "We went to celebrate the next chapter of her life." Cullen said they went to a concert at the Hanger Nine in Carbondale. "There was a band playing that Molly suggested we go see," Stout said. Cullen is disabled and has a personal assistant. He said his personal assistant drove that night, and the two picked Molly up between 8 and 9 p.m.
"We were out until 1:30 may be 2 a.m," Stout said. Here is what doesn't make sense, and it's all in the police records. The reports show the search history on Molly's home laptop computer. There were multiple "suicide" searches. Looking at the date and time, all but a handful were made during the time Cullen Stout said Molly was with him. Stout said there is no way, and something doesn't make sense. "There were many people who saw us," Stout said. Back at the apartment complex, West Hill Circle, where Molly died, there are concerns of why police didn't interview more tenants. The property manager at the time, Carolyn Fronek, said she was never questioned or informed about Molly's death. Fronek also said her son was a tenant of the complex back in March of 2012. He lived across the parking lot from where Molly died. "Why was my son never questioned," asked Carolyn Fronek. "There were 32 units in that complex, every unit should have had a door knocked on." "The consensus is there are some evidentiary matters that need to be looked into that have not gotten proper scrutiny or possibly overlooked," said Charlie Lamont. Charlie Lamont is Molly Young's uncle. He also served for more than 33 years on the Mount Vernon Police Department. Lamont is now heading up an independent investigative committee of retired and current officers and coroners. "All we've ever asked for is a fair and complete investigation," Lamont said. The Jackson County State's Attorney stood in front of reporters last summer saying there was not enough evidence to move forward. "But, should additional evidence become available I have pledged to the Young's and I have sworn to the public it would be considered," said Michael Carr. "We're hoping that word pans out," said Charlie Lamont. Larry Young refuses to give up hope. "I'm going to fight this case whether statute of limitations run out or not," Young said. "If I have to go to Washington D.C. and start knocking on doors I plan on doing that." Larry Young wants to see this case reach a grand jury, but not without further investigation. Special Prosecutor, Ed Parkinson told Heartland News that a number of interviews and re-interviews were attempted and/or completed by Illinois State Police over the past three months. Parkinson said his office is about a month out from releasing the results of the re-investigation.